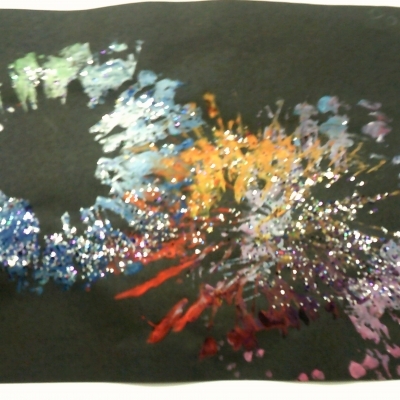 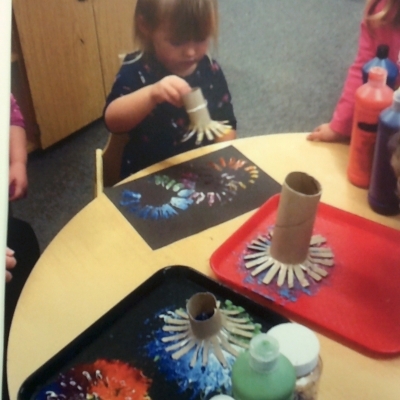 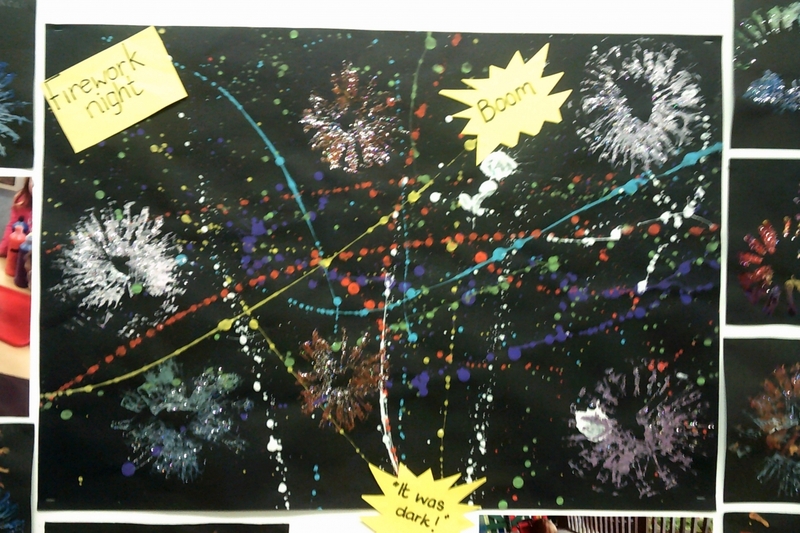 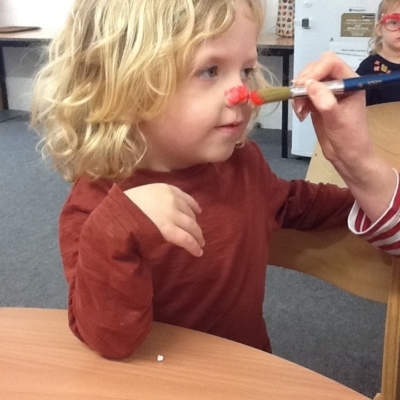 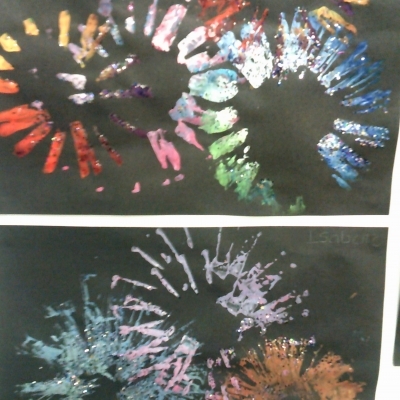 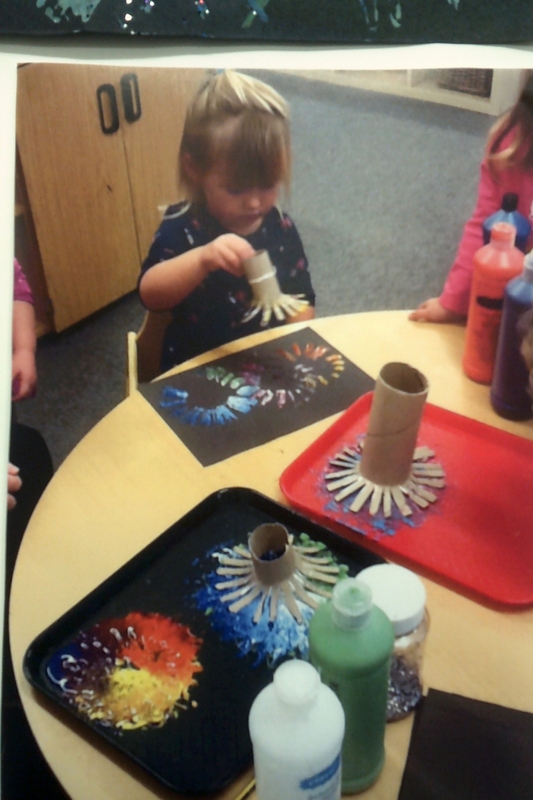 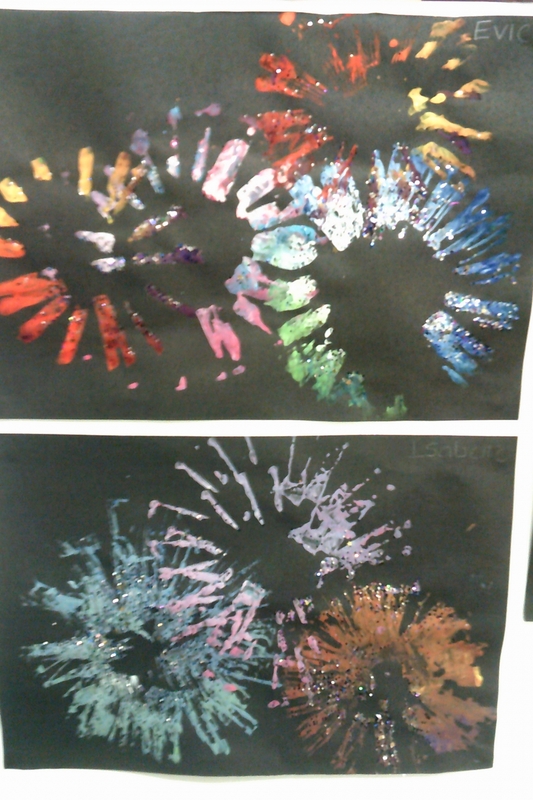 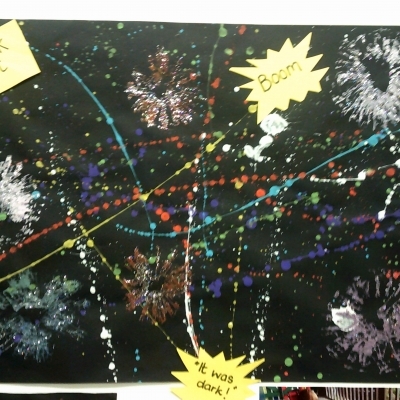 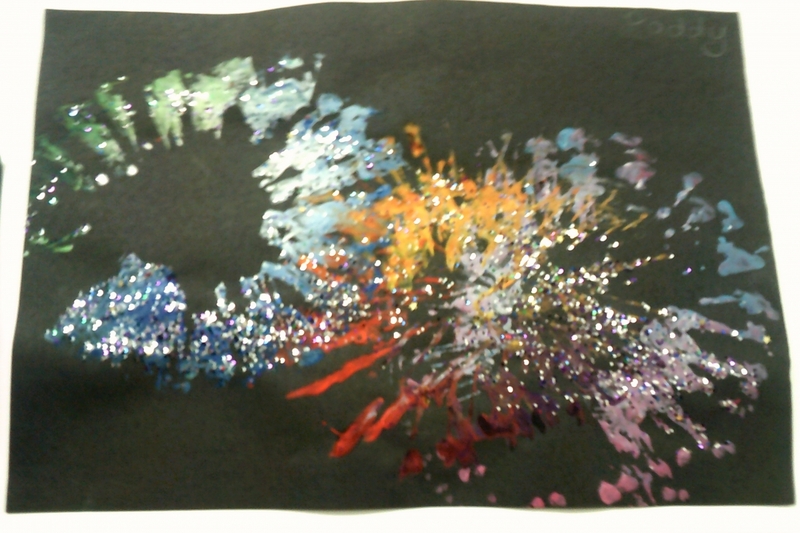 Our Early 3's thoroughly enjoyed exploring new ways of using paint to create firework pictures! 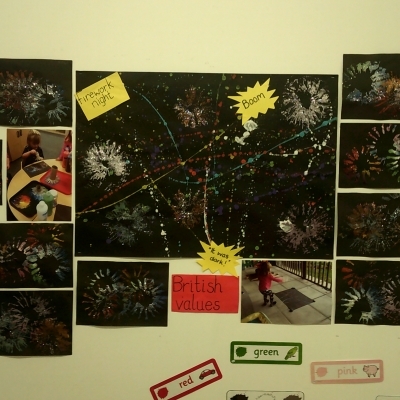 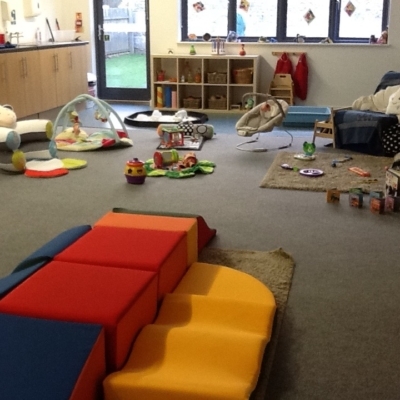 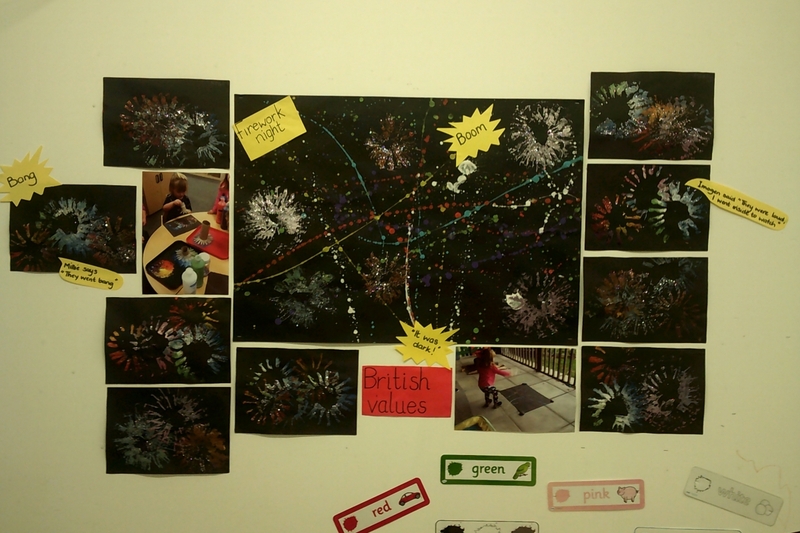 Our Early 3’s have been talking about bonfire night and recalling their experiences watching fireworks displays. 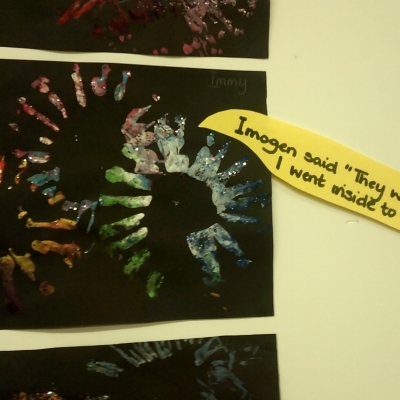 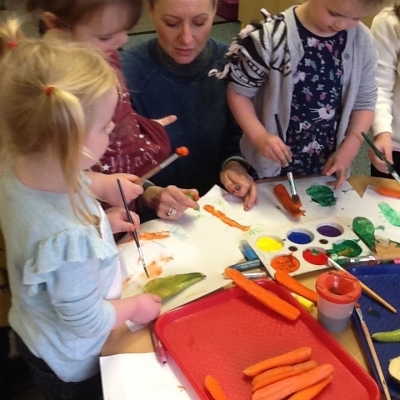 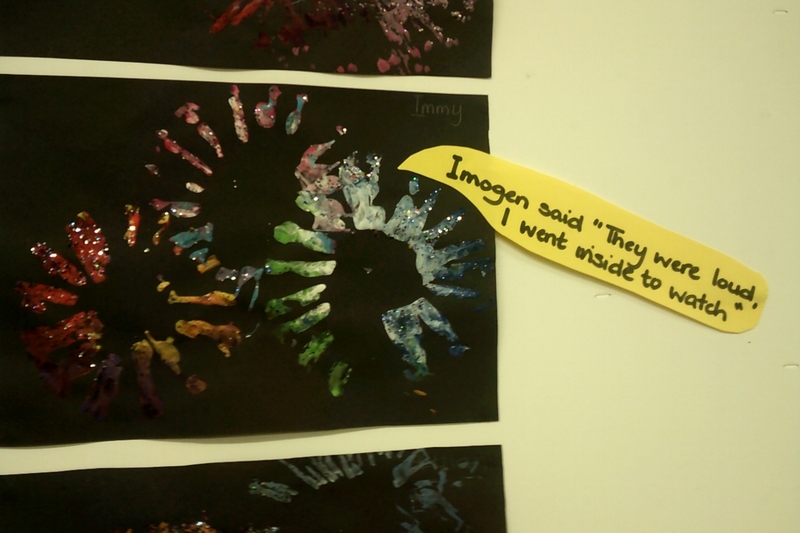 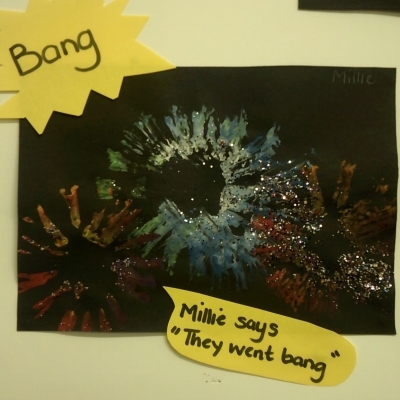 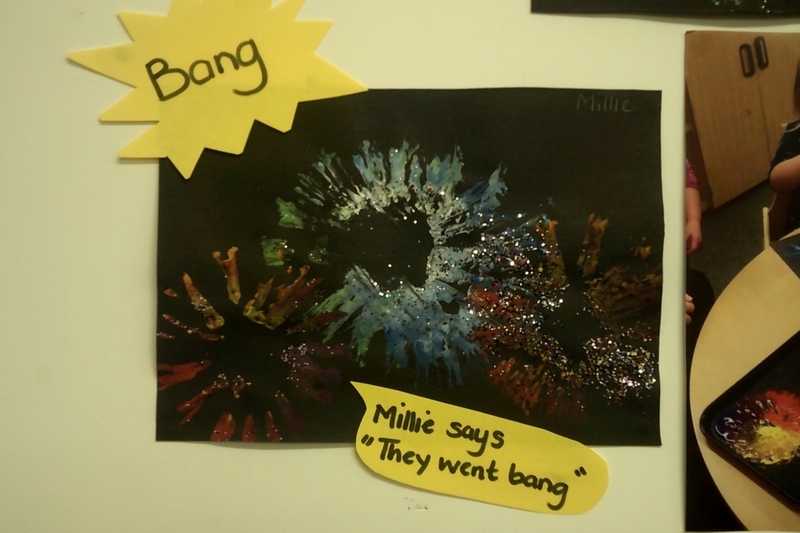 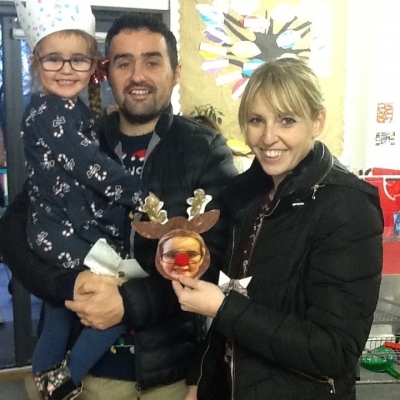 They all thoroughly enjoyed printing their sparkly pictures and talking about the sounds such as ‘BOOM’ ‘FIZZ’ ‘POP’ and ‘WHIZZ’ They also worked together as a large group to create an enormous group picture outside, by flicking paint off their brushes which created lots of laughter!